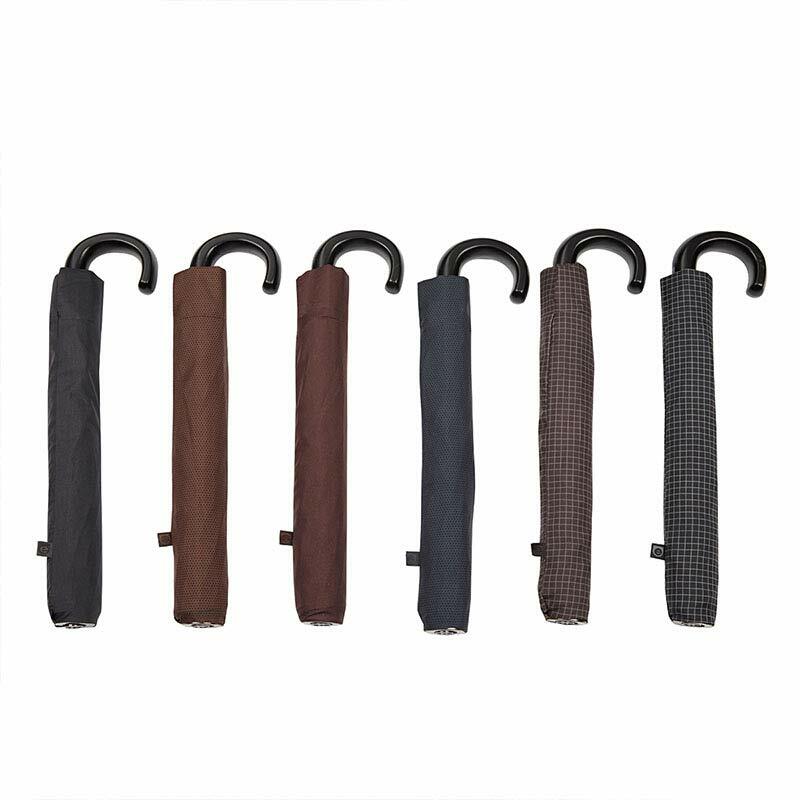 Ezpeleta Large Folding Automatic Crook Handle Umbrella this 10 panelled gent’s folding umbrella has auto open feature and is available in 6 different colour ways. 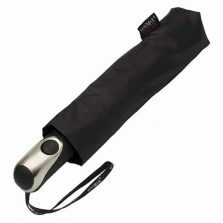 This is the Ezpeleta Large Folding Automatic Crook Handle Umbrella, a smart auto open compact umbrella with lots of nifty features that make it stand out amongst other umbrellas. This brilliant umbrella is longer than the average folding umbrella, has a smart black crook handle and chromed auto-open button. 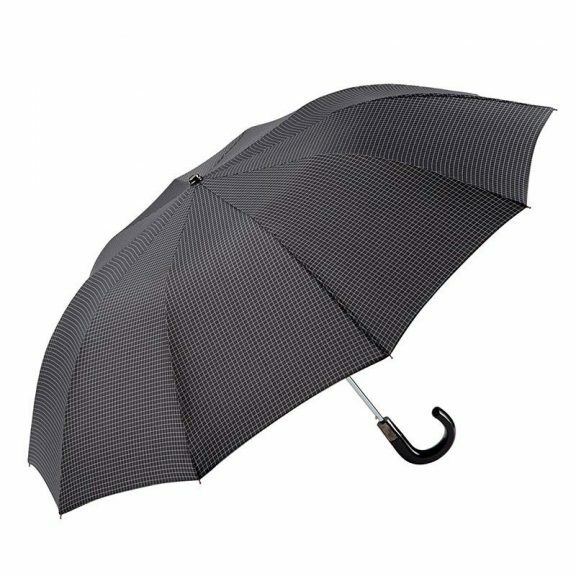 It has 10 panels which is actually quite unusual for a compact umbrella but those extra 2 panels make the canopy a more rounded shape and add extra strength in the wind. 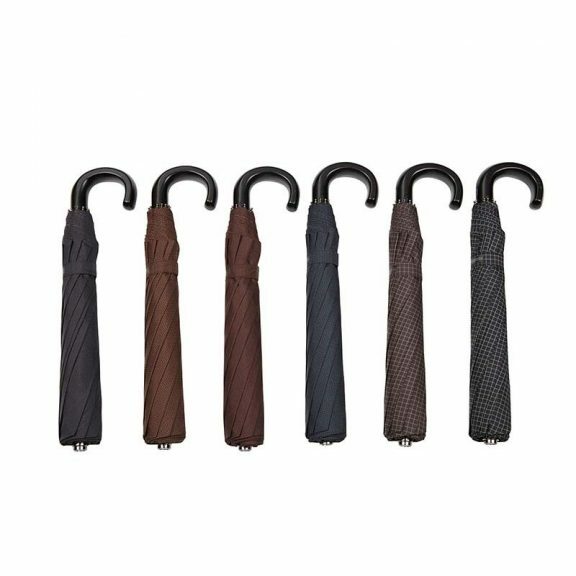 They also make it extra stylish. 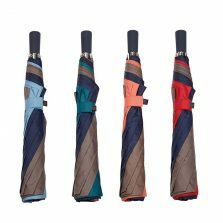 The canopy comes in six different colourways. 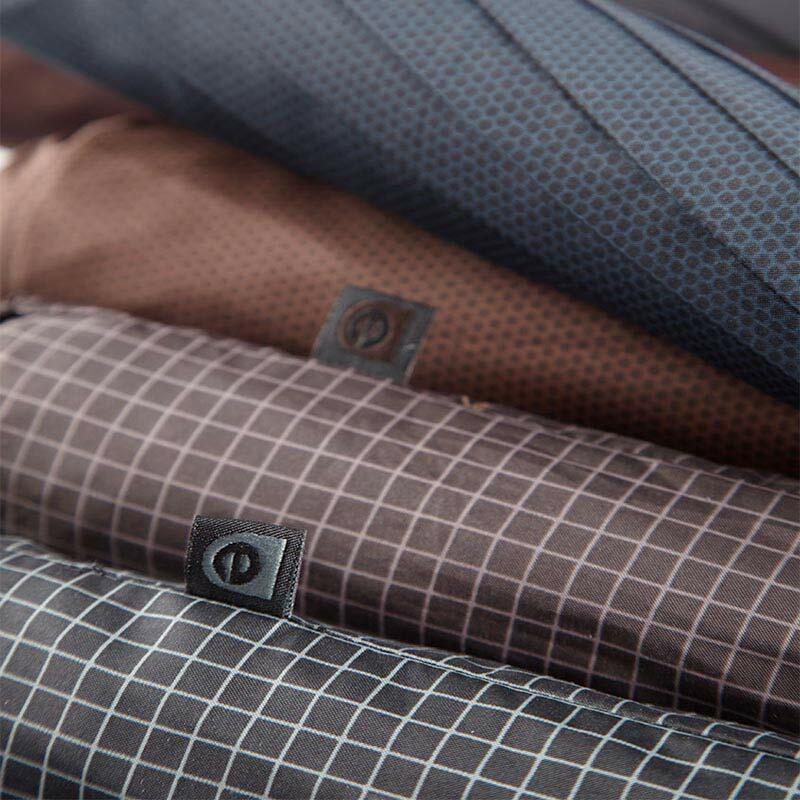 Navy with a fine black horizontal stripes, brown with a darker brown honeycomb design, maroon with fine black horizontal stripes, navy with a dark navy honeycomb design, brown with a grid design and finally black with a grid design. Oh yes, and it has a matching sleeve to keep it neat and tidy when not in use. 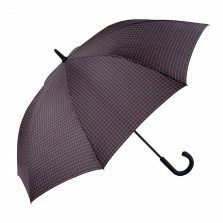 The Ezpeleta collection of umbrellas are new to the Umbrella Heaven range. The gents umbrellas in particular make a welcome addition to our existing range as often the choice for men is limited. 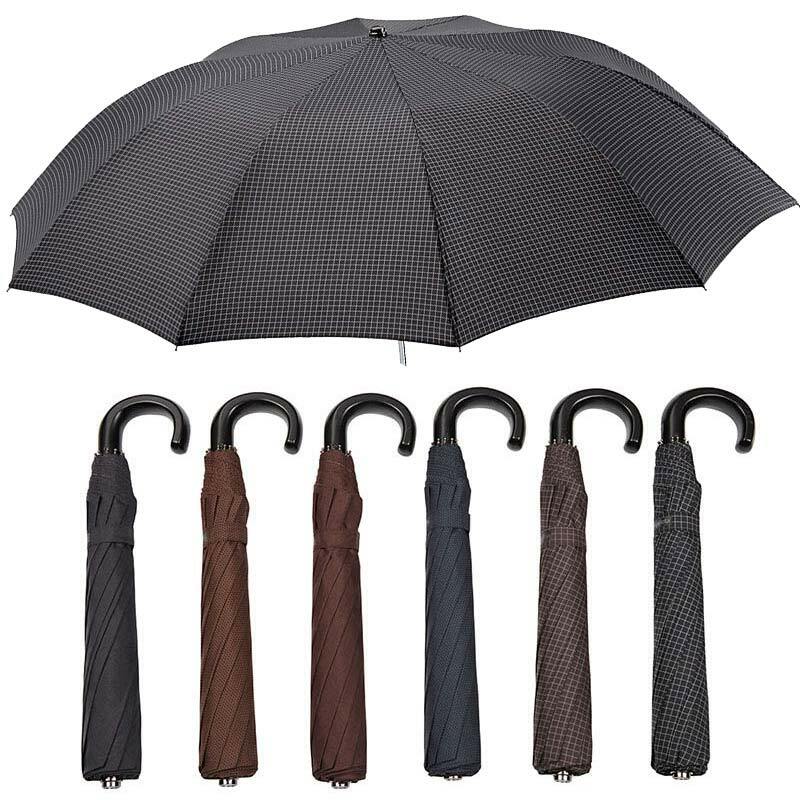 Black is so often the main colour offered. We can now our male customers more choice of styles and colours than ever before! 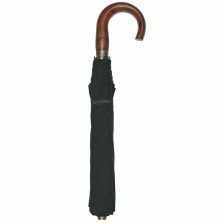 Click here and check out the rest of our Ezpeleta umbrellas! Click here if you would like to see more gents folding umbrellas!